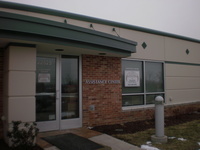 Our Guidelines provide that: As an expression of God and Christ's compassion for all people, we shall use the resources of the Plainfield Area Interfaith Food Pantry to alleviate the distress suffered by need people in the Plainfield Area. Items may also be picked up the Saturdays before or after the distribution date between 9 AM and 11 AM. Many thanks to our generous donors and volunteers, without whom, assistance to approximately 180 families each month would not be possible. Nabby's on Rt. 59 is hosting a food drive through Apr 7. Head in for a free ice cream cone with donation! Apr 6 & 7, the pantry will receive 20% of all proceeds!!! Next scheduled food distribution - Mar 23, 26 or 30 (choose one). If you live in PSD202 and need services, please bring ID and proof of address to the pantry after 10:30 a.m. during our distribution to sign up for services. Perishable Food Distribution is weekly on Wednesday and Saturday mornings for families registered with the food pantry. Cash donations are always needed and appreciated. Please make checks payable to "Plainfield Food Pantry" or donate online using your credit card or PayPal account. As a registered 501(c)(3) charity, donations to Plainfield Interfaith Food Pantry may be tax deductible. Call 815-439-8394 to schedule drop-off of food and other groceries or leave non-perishable items at our generous partners: Home Town Fitness - 16108 South Rt.59 and St. Mary Immaculate Catholic Church . Please note that the Pantry cannot accept clothing, toys, furniture, etc. Located east of downtown Plainfield, near intersection of I-55 and Lockport.